NAR PULSE—Remind your agents that NAR members get discounts year-round on car rentals. 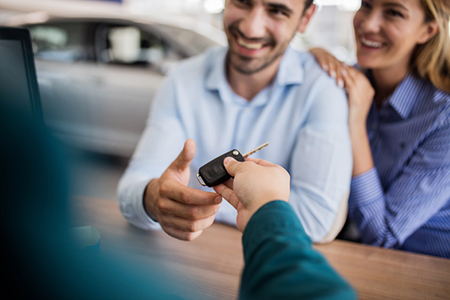 Take advantage of your member benefits the next time you rent a car through REALTOR Benefits® Program partners Avis®, Budget® and Hertz® and save up to 25% off base rates. Add coupon codes for even bigger savings! Start saving today! Encourage your members to create an action plan to complete their NAR Code of Ethics Training requirement before the current two-year cycle expires on December 31. In many states, REALTORS® can earn three hours of CE credit while fulfilling their ethics requirement with NAR’s online training course. Learn more. April is Fair Housing Month! Now is the time to purchase the Spanish version of the online At Home With Diversity® (AHWD®) course! Let your clients know that you are capable of working effectively with—and within—a rapidly changing multicultural market by earning your AHWD® certification. Sign up through the Member Value Plus (MVP) Program by April 30 and have your application fee waived! Sign up today!